You probably have heard of the books listed below. After all they have all sold millions of copies! All are now in public domain due to the time elapsed since their initial publication. You may have heard of them but have you read these personal development classics? First published during the Great Depression, Think and Grow Rich has become one of the best-selling self-help books ever published with over 70 million copies sold worldwide. Hill condenses the principles of personal achievement into easy to understand blocks that are still very relevant today. Although the title implies the book is solely about building wealth, the ideas outlined in the book can be used to improve all aspects of one's life. Since its first release almost 80 years ago, How to Win Friends and Influence People has sold over 15 million copies worldwide. Carnegie believed that success comes from an ability to communicate effectively with others. Through the use of easy to relate examples and analogies, the book teaches you skills to make others feel appreciated and enjoy being in your company. A motivational book that encourages the reader to push boundaries in all aspects of life and “think big”. Schwartz believed that great success does not come through innate talent but through setting great expectations. 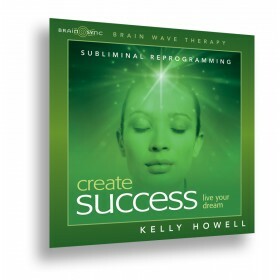 Through multiple examples the author provides a step-by-step guide on how to change your thought patterns and achieve your biggest dreams. Originally a series of informational pamphlets dispensed by banks and insurance companies, in 1926 they were bound together and published as a book to give financial advice through a collection of stories set in ancient Babylon. Fill out the form below. A link to download each of the personal development classics on this page will be sent to you.